"There was no kingdom left to me that was not claimed by some aggressor; and one year later I did not even know where I could give birth to my child, since staying in Vienna was impossible." I’ve never written more than just a few words here and there when it comes to describing games… I prefer spending that potentially ‘lost’ time either playing ’em or reading up on some instructions! 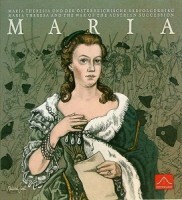 Now Maria was one of the earliest titles I purchased after getting deep into the hobby and, my 1st ever owned war-game. I bought it after falling in love with the cover box and all its strangely sophisticated aura over 7 months ago and split its possession between myself and a friend of mine that was as well enticed by the box plus historic intrigue here and wanted – after I’d failed to fully grasp the rules and flow of play 2 reads in – to take a crack at the rulebook & components herself, so I just lent her the whole box hoping it would help her, help me, HELP US, get it on the table! Upon sitting down & easily setting it up yesterday, all three of us inaudibly agreed that if we were to play this **** of a beast of a masterpiece of a .. (this can go on) we’d have to reread everything page to page, rule for rule. Everything seemed sensible enough as the instructions (just 10 pages long basically) really couldn’t have been written more concisely; we just needed to bounce all this incoming warish info off each other & use the setup stuff to better illustrate some how some main mechanics flow. ..Anyhow! Just the prospect of what’s bound to ensue once we got down the rules had us lured in, presuming how unruly our urge was to affirm what we already knew, with no hint of ruling it out… This histogame right here, RULES. I feel I’m near guilt, egotistically thanking those poor European allied powers of the time for sacrificing such manpower & resources, leading to this uncut gem of a game. Everything just makes sense: The card play, their theme & suits – which were the predominant symbols of the time, thanks to the ever popular Frenchies of the time – annexations, alliances, movement… No I really like moving around in this one. The board feels like a limitless – okay as far as central Europe goes – playground in which supplies are often trod upon by enemies and it’s all your fault for neglecting them in marching too far off hometown, you childish example of a leader!… Sorry, guess I’m still in the game… Economical decisions like how to take a beating rather than play cards that would save the day, but set the foundations of a battle to be lost, to save the top shelf of your limitless hand cards for some major politics biddings later on, elections… You name it; all that could’ve been integrated is done so SO **** CONVINCINGLY, as Eldritch Horror this is not: not much flavor text to drive the game; actually none sans the political cards! All the history is brought in BY YOU AND THE OPPOSING/ALLYING FORCES, RIGHT ON THE BOARD, year by year, battle by battle, event by event. I haven’t organized a structured review, nor will I do so in the last few words here. I’m too **** tired from playing (3-4 hrs for the 1st game is a sweet finish) and sitting through the rules (okay that was that much more worse with regards to time, plus my throat’s getting payback now) till 2 o’clock at night, but time flies by like NOTHING when you play this. Do y’all selves the favor and come to know what best epitomizes a proper pastime, just shy of 300 years back into history. Oh, and girls: You get to play Maria Theresa leading the Austrian powers!… Though it is probably the toughest one to control to win the game. Dive in to Maria and let me know of its appeal to you personally! Thanks to all who read this far, for it is having the unknown yet most welcome YOU in mind, that permeates energy through to my typing fingers to unbind! Add a Review for "Maria"